Hi There! I'm sharing a cute birthday card which I made for the MFT Creative Olympics second event. It's a freestyle round and it has to be in winter theme. 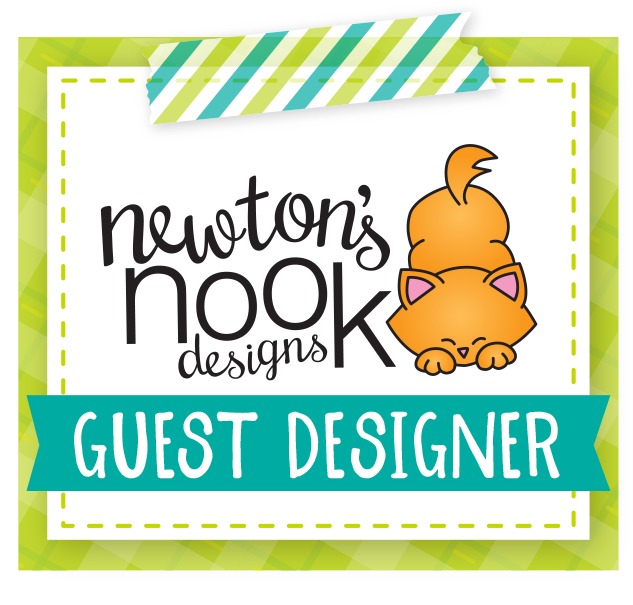 I used this week's sketch from MFT Wednesday Sketch Challenge #372 for inspiration. Here is my take! 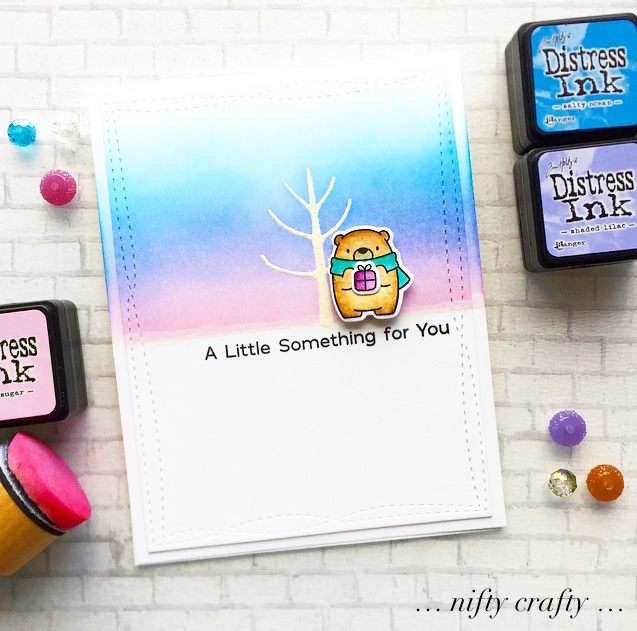 I stamped and colored the cute bear and little gift box from BB Bitty Bears stamps set using distress inks. I die cut the images using their coordinating dies. Then, I stamped on the tree from MFT Modern Trees stamp set on a piece of card and heat embossed it with white embossing powder. Next, I inked the background using distress inks. I used the blending tool to blend the three soft colors and create a wintery sky ombre. Once done with the background, I used the MFT Wonky Stitched Rectangle to cut out the card. I also inked the same colors on the base card. Then, I adhered the bear next to the tree and stamped the sentiment directly on the card. I used the 'A little something for you' sentiment from the BB Bitty Bears stamp set. I love this sentiment as it goes well with the bear holding a small gift on his hands. To finished off the card, I used the glitter pen to make the ground filled with little snow. That's all! I hope you enjoyed my card. Thanks for stopping by! For more information, check out MFT Blog. Have a great day!